Resetting Windows password may violate privacy and should be done on user's own responsibility. Parallels Support team will not apply the below instructions at any circumstances. 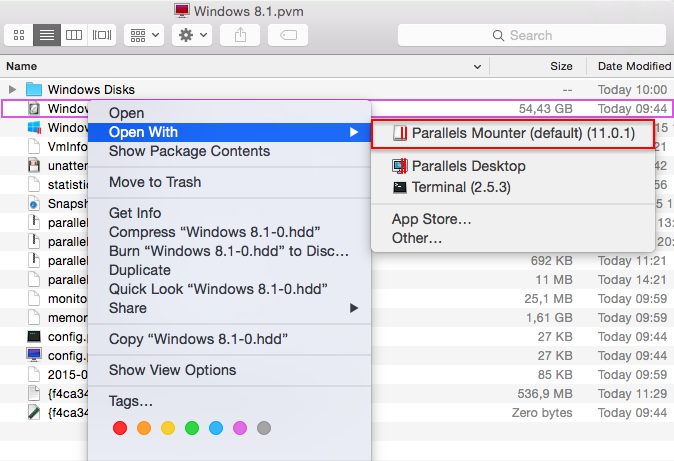 NOTE: If you are using Parallels Desktop for Mac Pro Edition, please refer to the KB114193. NOTE: if you need to reset password for Microsoft account, please refer to this page: Forgotten password and other sign-in problems. NOTE: before proceeding with the steps below we highly recommend you to take snapshot of your virtual machine. The output will show information about current Windows installation. Find the string with 'partition=' and check the device letter. Shutdown your virtual machine. Locate virtual machine's file in Finder. Right-click on the virtual machine's file -> Show Package Contents. Locate mounted virtual disk in Finder. Navigate to *C:\Windows\System32*. Unmount virtual disk from Finder. Boot to Windows. On the login screen click on Ease of Access button to open Command Prompt. where username: desired username, and newpassword: new password for your user account. Login to Windows using new password.